Here follow a few pages out of my book. I hope you find this excerpt interesting enough to want to red the rest! I also quite like the fact that an older bike can always do with being worked on. Oh, I don’t mean need working on (though that, of course, can happen), no, I mean can be used as an excuse to go and work on! There is always something that can be fiddled with without doing any serious damage*, and in the absence of meditation to calm the spirit, the old hack in the shed can even satisfy your spiritual needs at times! This is when sitting down looking at it with a cup of coffee (or beer or whatever) in your hands, can lose you in your thoughts and transport you to …well, wherever that takes you…until you are rudely awakened by the cold or the wife/boyfriend/dog/hunger/dropping the glass or any other reality that shakes you out of your needed/long deserved daydream. *Even if ‘someone’ is watching, or follows you out there, ‘they’ soon get the message that you are engrossed in something ‘important’ that they don’t understand and will eventually go away and leave you alone. Alternatively, you could just share the moment together, away from the madding crowd! As a kid, I used to keep an engine under the bed (!) in case I couldn’t sleep… I would then take bits of it apart in the dark and re-assemble just to see what was left over in the morning! Not necessarily recommending this unless you have a very solid relationship with your partner (or none at all! ), I only use it to illustrate the fact that individuality rules and improvisation and imagination are the name of the game! Literally anything goes, just ask your partner first, please! Well, I don’t know how or why you became interested, all I can say is how I got the ‘bug’ (in my case mostly for British Classic Bikes), at the tender age of 13, in the Lebanon(!) a long, long time ago…1968 to be precise! A friend of mine, an American who lived close-by, had ‘acquired’ an old, rather dilapidated Harley-Davidson with a sidecar and took me for a ride in it. That was it! The smell of the hot oil, the rattle of the engine, the exhaust-note bellowing in my ears, “THIS IS A REAL MACHINE!” I said to myself and from then on I couldn’t resist turning my head at every ‘oldie’ that was heard, drove past or was seen parked at the side of the road. In Beirut at the time, the police were still using Harleys, the Taxis were nearly all Mercedes ‘Ponton’ 180D or 190Ds and the picture was very different to today! My first hands-on exposure, then, was to a large, old, thumping four-stroke and so the form was set, and my heart, even now, still beats faster when I hear, see, ride or work on an old thumper. Strangely enough, Harleys as such have never interested me overly, my prime exposure having been to British bikes (for geographical and financial reasons). At that time I was being sent to a boarding-school in England (Eagle House, in Crowthorne, Surrey), as the schooling-system in Beirut was not up to the standard that my parents wanted for me (and the lessons were largely conducted in French or Arabic) and there just happened to be a war going on, so off I went, only returning home three times a year in the school holidays in spring, summer and for Christmas. The rest of the time was spent in the boy’s boarding-school, where I learned all sorts of things like shooting rifles, woodwork, metalwork etc and spent a good deal of time taking apart, making and repairing things. At thirteen, I changed schools and went to Wellington College, but a mile or two from Eagle House, and instead of what had grown from 59 to 150 boys in the time I was there, at the new school there were over 500 of them! Lots more opportunities and possibilities to find like-minded blokes, make friends and to learn new skills! Welding and Vehicle-Maintenance (trained by the Army in the cadets) were devoured voraciously in my time there, and I was not yet 14 and had already bought my first bike, a 199cc Triumph Tiger Cub, which I got for a ‘tenner’ from an ad in the ‘Motorcycle News’ weekly rag, that was pretty much all that there was then, except for some expensive ‘glossies’, where the prices of the bikes in the ads were also too glossy for my budget! In fact, it was initially the prices in general which was also a very compelling argument to me, and remain so even today, despite the hype and incredible jumps that we have seen in the past years with some makes and models of motorcycle. From these humble beginnings, I have gone on to own, restore and ride 47 Classic bikes, mostly British, some vintage and one veteran. There are still a few makes and models that I have worked on that I will eventually get round to owning, too (and keeping, this time! ), the main thing is, I had a great time with all of them and the odd challenge along the way. There are not many ‘bikes that I would say woz ‘orrible through and through, most had specific areas that could have been ‘improved’ if designed differently, for the most part they were all usable and, with a few minor modifications, were reliable and safe to use in modern traffic conditions. On the up-side was always the thrill and satisfaction that each and every one of these beasts had been nurtured back to life by my good self, with a fair helping of ‘spanner-rash’, cuts, bruises and dirt-under-the-fingernails along the way (and some pretty inventive and colourful language to boot!). A lot was learned, even more forgotten and each bike was, on at least one occasion, the feeding ground for new ideas to a (necessarily) fertile mind. Most of the bikes were, and still would be, (relatively) cheap to buy, maintain and repair. Parts are nearly always available ‘somewhere’ for the ‘BritShit’ (as opposed to JapCrap and the pricey Yank-Tanks…), as is information, eagerly offered help and tips from ‘old codgers’ like me, and those who earn their daily bread from distributing said parts and some of the fairy-tales. There are literally thousands of clubs and forums, some generic, others Make- or Model-Specific from which monthly newsletters, spares, tips and ‘bikes are still readily available, most for free or very reasonable rates. There is something basic, functional and primeval about them that appeal to almost everyone that comes into direct contact with them – seldom is indifference displayed, in my experience over more than 40 years! Some will complain about the noise, or the (almost inevitable and famed) oil-leaks, ranging from that annoying single-drip-every-time-it’s-parked to the Torre-Canyon variety (which is, to my mind, better not ridden or at least not parked in public) and more of that later! Many have never even seen a kick-start-lever, let alone seen one used or had a go, many ‘bikeys’ will shake their heads at right-hand-side(?) foot-change, choke- and ignition-advance-and-retard-levers found on the motorcycles built until around 1965 and the even more ‘individual’ setups on earlier ‘bikes before the position and types of controls were more-or-less standardised. Cable- or Rod-actuated Drum-brakes, single and twin-leaders, skinny wheels and tyres, petrol tanks that actually hold fuel in them, four-speed-gearboxes with one-up, three-down (or opposite) configurations, wet clutches, ‘basic’ electrics and instrumentation (if any! ), ‘strange’ suspension setups (if any! ), front and rear, cycle-saddles and bum-pads, all go together to make a confusing and obsolete impression. There is no magic or mystery about old bikes regarding their function. Apart from actual cost considerations, ANYONE can, man, woman or child, given that they are curious or interested enough and have the at times necessary physical size and strength (or ‘access’ to those! ), can restore, repair or ride these machines without restriction. The bikes were all, without exception, designed in their day to work in everyday conditions, ranging from -20° to +40°, winter and summer, rain or shine, ice, snow and thaw. So why, might I ask, should they not be just as capable of doing so TODAY, when materials technology, the knowledge and experience at our disposal, protective finishes etc., etc. have advanced so much in the 50 to 80 years since their inception (assuming that we are dealing with ‘bikes manufactured from the thirties onwards as being generally ‘rideable’, available and restorable in a practical sense). So, at the risk of repeating myself, there is absolutely NO excuse for ANY Motorcycle NOT to start on the first or second kick, given modern materials, technology, electrics, fuels and oils, regardless of design or age. Almost anyone who has ever had an old ‘bike will tell you that some of them are ‘temperamental’, or don’t-like-starting-when-they-are-hot or other such fairy-tales… if the electrics and mechanics are synchronised and in good order, there is absolutely NO EXCUSE for unreliability! NONE! If short-cuts are taken, on the other hand, the result will ALWAYS be unreliability. SOME, will, due to the design, require a specific SEQUENCE of settings and lever-positions to get them started (purely by way of a mental check-list), but in the end, effectively all they require is to have the spark at the right time and the valves to be in the right position, the piston(s) going with enough speed in the right direction(!) and, if there is enough compression, the old girl will fire up – ALWAYS. How do I make a choice (if I want to at all) and what ARE the choices?? Once involved and interested, it will become obvious that the range is simply immense! 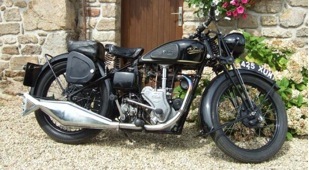 Having been built in numbers over a period of more than 100 years, there is a vast bandwidth of motorcycles to choose from, from many countries, and it is therefore necessary to start sorting into broad categories to narrow down the choices to find something appealing, affordable, available and practical (well, sort of practical!). I’m going to have to get a bit technical in some of the details, so please don’t be put off if this is all a bit too much at first, if you are ‘new’ to this game, all will be revealed in simple terms later on in the set! There are a few things that can to be considered: AGE (pretty obvious), TYPE : Road, Tourer, Sports, Cafe-Racer, Scrambles, Military, Trial, Race (different categories here, too! ), ‘Off-Road’ and with or without Sidecar (and probably something else which I have forgotten! ), SIZE: size of engine, weight or seat-height to be taken into consideration, CONFIGURATION of engine, so: two- or four-stroke, diesel, air- or water-cooled, single, twin, triple, four-cylinder (or more!). ‘sloper’, in-line, across the frame, horizontally-opposed (one-behind-the-other or across-the-frame), V-configuration (one-behind-the-other or across-the-frame), radial (yes, really, in the front wheel!!) and then there is the MAKE (hundreds of them) or COUNTRY OF MANUFACTURE which might be important to you. I shall start with a simple AGE category, noting concerns, advantages and disadvantages, as with every other category: There are many contradicting classifications, so I shall arbitrarily choose my ‘own’ definitions, which I shall explain and are merely for practical illustration and based largely on technological differences between eras. The oldest category will be the VETERAN or EDWARDIAN era class of vehicle, generally taken as being from even before the turn of the century to sometime just post WWI. Real pioneering stuff, lots of brass, mostly very spartan designs, by no means simplistic, despite electrics being limited to magneto-ignition, carbide lighting, hand-gearchange, beaded-edge tyres, generally only with brakes on the rear wheel if at all, wide bars, ‘reverse’ levers, cycle type seat, pedals and frame with slab-tank between rails. A great diversity of positions for controls, often dependent on ‘extras’ purchased at the time of ordering the ‘bike in the first place…how many ‘speeds’, brakes, instruments (er…speedos were not necessary then! ), number of seats, whether with footboards or not…a plethora of outside oil-pipes, unions, cables, levers and in some cases with (to us) unusual combinations and complications requiring definitely specific riding-style and heightened concentration! The combination of left-hand twist-grip for throttle, an ignition advance-and-retard twist-grip on the right, a foot-clutch on the left and gearchange over the tank with the left hand is one combination that sticks in my mind as a possibility with one well loved manufacturer (Indian). Add a choke to richen the mixture when cold and warming-up plus having to pump oil to the cylinders by hand every now and then while driving and hand-priming of the carburettor. The oil-system on most of these bikes was a ‘total-loss’ system, which means getting oil squirted all over your clothes and sometimes your face! (have you seen the masks they used to wear? Not just a fashion accessory! All sorts of weird and wonderful designs which defy description here, certainly interesting and fascinating period when everything was tried, innovations abound and if you look at the patents of the time, it is obvious that almost nothing is new these days, all just re-invented and made possible due to the advent of better machining tolerances, materials and refinements in thinking. Indian, for example introduced rear-springing in 1914 and there were 4-valve-per-cylinder engines even before then, overhead-valves, water-injection with fuel, ‘desmodromic’ valves, counterbalanced flywheels…the list goes on for the ‘techies’ out there! The main concern is that these vehicles are largely relatively frail often simply due to the sheer age of the materials used in vital castings, which are difficult and expensive to replicate or obtain in the normal run of things. Add to that the relative impracticality due to poor braking, non-existent lighting and instrumentation and difficulty of obtaining spares for the parts that generally wear-and-tear and there could be issues with this choice for the ordinary ‘layman’ wanting a toy to play with. Reference material and information as well as spares and even the machines themselves are scarce due to war, rust, fashion and taste, not necessarily in that order, depending on the country of manufacture, and since they were relatively rapidly discarded as impractical by their original owners after the arrival of infinitely more usable machines after the Great War, there has not been that much exposure to them (and therefore almost no fond memories or associations with them) for the present generation of riders or collectors and so demand is also low and has been for decades. This in turn makes what spares there are (which were made when demand was still high, but now not ‘worth the trouble’ to make) disappear, never to re-appear, meaning that repair is often expensive if not impossible for some types. Early motorcycles were, as can be seen in the picture above, basically strengthened (hopefully!) 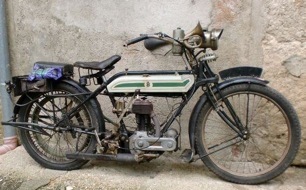 bicycle-frames with added engine and fuel-tank, after the Great War, the old models were re-manufactured in sometimes only very slightly modified, as can be seen from this 1921 model Triumph below…compared with the previous picture, little has changed. What a shame, there is so much innovation, individuality, originality and personality in almost every single one. The challenge is out there, just waiting to be taken up, and for those who wish to preserve our historical heritage a real chance to give back to the community and the pioneering spirit of our forefathers…however not for the faint-hearted or those without the necessary financial ‘resources’, though bargains can be found due to lack of connection, interest or association with the bikes or era in question, so this category probably offers the best opportunities to the watchful and interested few. 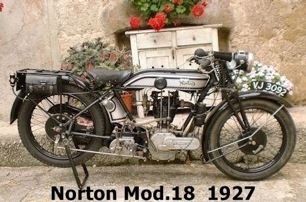 In (not much) contrast, pictured next, a later post-war (1927/28) ‘bike, This time a Norton, although ostensibly a complete re-design, but retaining pre-war style and layout, with many detail improvements, now with better brakes, some even with primitive electric lighting and the beginnings of positive-stop gearchanges and beefed-up frame and front forks. Enclosed Valve-gear became more common, allowing the slow disappearance of the ‘total-loss’ oiling systems, too. Brakes became more efficient with the adoption of drums on the front and rear. After the Great War, most of the bikes were just re-manufactured pre-war ones, as during war-time, there was little or no further development of civilian models and they had not yet got wind of what a good idea it would be to have motorcycles developed specifically for the military! It wasn’t until about 1930 that real, practical changes began to creep in. Technically (and arguably) covering bikes built from 1919 until the end of 1930, this next broad category would be Vintage, these still having ‘rigid’ back ends and slowly getting fitted with telescopic forks towards the end of the period. 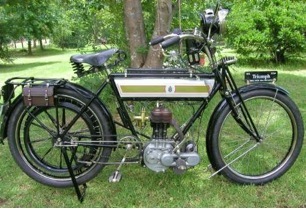 As the twenties and thirties advanced, so the bikes lost their ‘veteran’ appearance, the ‘tank-between-tubes’ being replaced with the ‘saddle-tank’ (which sat over the top frame-tube), foot-gear-change becoming standard and electric lighting and in most countries, the requirement of a speedometer. Metal toolboxes replaced leather and the whole overall impression became a lot more ‘solid’, and heavier, of course, leading to a demand for more power and/or larger, more efficient engines. The wars in Europe took their toll on the European continent, too and so it was not everyone who could afford a car, and as such the need for economical transport was genuinely there. 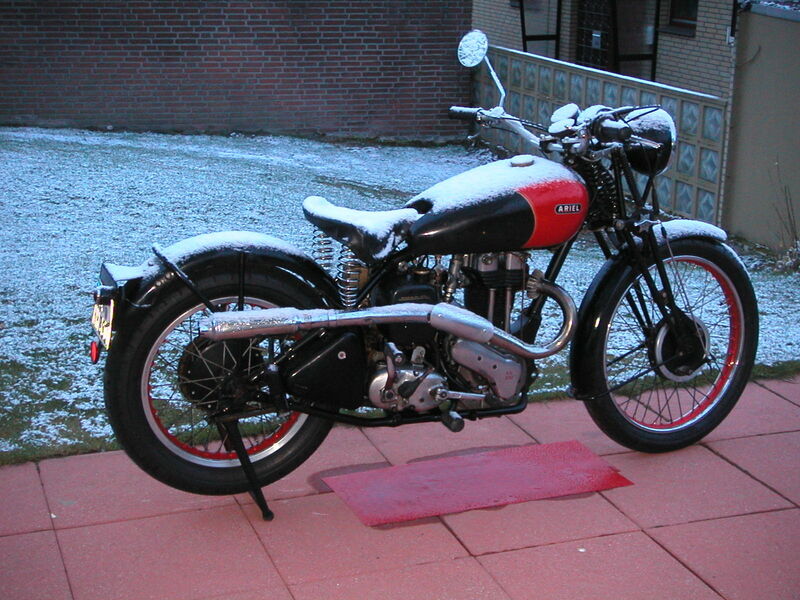 This also means that the English in particular still now have a unique attitude to their bikes and you will still see them being ridden all year round, in all weather (to which the English have a special relationship, anyway! ), regardless of age. Throughout this period, and markedly more swiftly towards the end of it just after WWII, technological developments and innovations throughout the world were moving faster than at any other time in history. For Motorcycles this period heralded the advent of more powerful engines, better foot-change gearboxes and road-holding improvements (and the emergence of better roads) leading inevitably to the need for much more efficient brakes and tyres, re-circulating oil-systems, battery-dependent electrics for lighting (ignition still largely by magneto), speedometers became mandatory, suspension appeared on the front end of more models leading eventually to telescopic forks on some (notably Velocette in 1947) and the reluctant(!) disappearance of the ubiquitous ‘hard-tail’, cycle-saddle and bum-pad (or dual saddles) in favour of ‘plunger’- and later, swinging-arm rear-suspension, allowing fitment of the thinner and ‘more stylish’ dual-seats. I say reluctant, since many manufacturers still bedevilled rear-suspension as being ineffective and even dangerous! (Some manufacturers even went to great lengths to ‘disguise’ their sprung rear ends to look like the traditional ‘hardtails’ as a result). Everything became generally more ergonomic and standardised control-layouts emerged and slowly even electrics became more reliable (Lucas and Miller in GB, Bosch on the European continent). The bike above has been prepared very smartly and professionally for racing. Many of these bikes are ridden with as much gusto today as they were then, with little regard to the ‘rarity’ or ‘value’ of the bikes. Those who race have a self-supporting network of parts and spares manufacture to keep them racing…HARD! 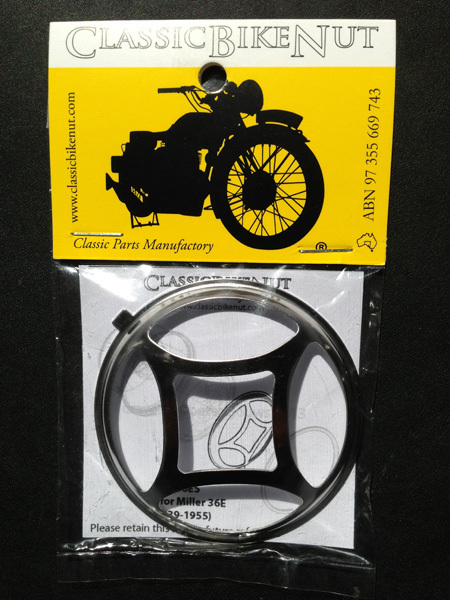 In this period racing emerged world-wide as the marketing name of the game #1 for the individual manufacturers. Specifically in England, the brands fought valiantly on the race-track to keep themselves in the headlines, ‘proving’ their own reliability and speed in comparison to everyone else, in a constant battle to enhance their image. The race-tracks, with names now steeped in history like Brooklands, Silverstone and Brands Hatch and (in)famous races like the Isle of Man TT, became a mecca for their followers, the air full of the smell of Castrol ‘R’ and the roar of those mighty beasts flashing past, piloted by their fearless riders, and were, of course, the birthplaces of many an enthusiast. In those days people actually had to TRAVEL to the races to see their heroes jousting on their trusty metal steeds. The rivalry of the various makes was much more intense and open than it is today. Many famous makes and models of ‘bike emerged to ignite the passion of motorists for decades to come…And for each of the names given to the ‘bikes, there was always a good story of how they got them to be told. 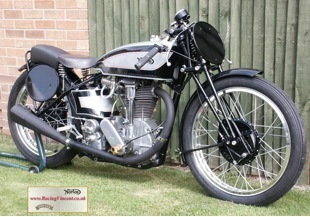 Names like BSA ‘Gold Star’, Norton ‘International’, Scott ‘Squirrel’, Douglas, Velocette ‘KTT’ and ‘Roarer’ and Vincent/HRD Rapide towered above the ‘rest’, bestowing glory on the riders, makes and models for years to come. Some of these ‘bike’s names, still now light a fire in many a heart, young and old!